Patsy Rowe is a woman of extraordinary talent who has achieved enormous success, much of which can be attributed to her positive attitude, her wicked sense of humour and her impeccable manners. Her first book, No Sweat Not to Worry She’ll Be Jake, a light-hearted look at the often problematic building industry, landed Patsy a job as the only woman appointed to the Board of the Building Services Corporation. Her appointment (sitting in judgement in tribunal hearings of house owner’s complaints against builders) led to regular appearances on talk back radio programmes on both the ABC as well as commercial programs. 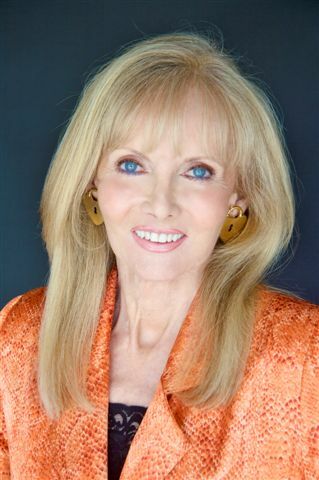 Nowadays, Patsy Rowe combines being a best-selling author with coaching in business etiquette, conducting nationwide seminars that are as much fun as they are informative. Having worked for an American multinational company and travelled extensively for work in the Far East, Patsy sure knows her business and she’s happy to teach others what she’s learnt. Her seminars cover everything from dining etiquette (including a sumptuous three course meal with accompanying wines) to tips on international business travel, grooming and presentation skills, job seeking, report writing and she’s had plenty of first-hand experience! After the success of No Sweat Not to Worry She’ll Be Jake, Patsy wrote Am I Having Fun Yet?—a humorous look at new step-parenthood and then went on to put together a collection of humorous anecdotes about her already hectic life in You ARE Leaving Tuesday Aren’t You? Her book, Secret Women’s Business…how to get it all & keep it is packed with indispensable advice on all aspects of getting it all and keeping it all from the dating gate to the mating game, even to the hating game of divorce and picking yourself up off the floor—with interviews with 150 women who have ‘been there and done that’ to tell us how to do it too! Her book Public Speaking is a valuable handbook for anyone needing to 'get up and say a few words' with hints on how to both prepare a speech and present it. Irresistible Italy.....A Journey of the Senses is a beautifully illustrated coffee table book which includes delicious recipes, breath taking photographs, travel hints and enough Italian to do most things you want to do in Italy as well as amusing anecdotes of husband Bill and Patsy's travels. Business Etiquette...Keep your competitive edge and maintain successful business networks covers everything from the all-important first impression, how to dress for business, making effective introductions, effective mixing and mingling at networking functions, dining etiquette right through to the finer points of international etiquette. From Business Etiquette to personal etiquette: Manners for the Millennium is a must-have guide to etiquette for men and women and is an invaluable tool for anyone going through the stress of organising a wedding, a divorce, or even a funeral. A practical guide to social survival it’s the perfect way to ensure that your personal skills keep pace with your professional image. The Little Book of Etiquette is as the name suggests, a little book you can pop in your handbag or briefcase for quick referral of etiquette dilemmas at any time. When it comes to manners, it's important to start early so Manners Magic for Children...a guide to popularity and success gives youngsters the necessary tools to build confidence from an early age. Patsy now travels around Australia speaking at more than 100 corporate engagements each year and last year did over 250 radio interviews on etiquette. She has also appeared on Sixty Minutes, Today Tonight, Sunrise, A Current Affair and the Today Show and and this year has recently finished her third publicity tour to the United states. She enjoys teaching etiquette on the Outback School of the Air which covers a million square miles and conducts "Boot Camp For Blokes" where wives, mothers and girlfriends entrust their blokes to Patsy for a day of spit 'n' polish.